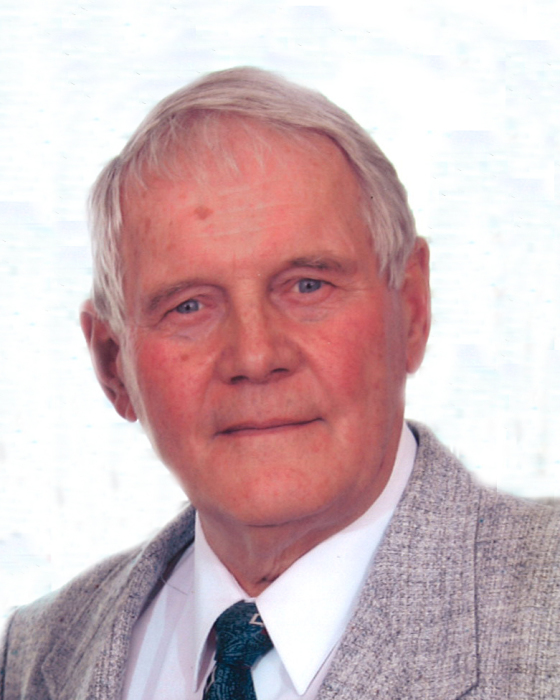 It is with heartfelt sorrow that the family of Klaas Vanden Beld announce his peaceful passing at home in Fort Macleod, on March 20, 2019, with his true love Alie Vanden Beld - Eijckelhoff at his side. Adored, admired, and loving father to Anke (André) Guérin, Klaas (Brenda) Vanden Beld Jr., and Ingrid (Tom) Van Driesten, who will miss him dearly. Klaas will be lovingly remembered by his wife of 57 years, Alie, and missed by his siblings Gerrie (Gerrit) Holdijk, Jannie (Wim) Botterman and Johan (Tilly) Vanden Beld, as well as Mart (Ab) Vanden Beld - Schotpoort and numerous nieces and nephews in Canada and the Netherlands. “Opa” will be missed by his grandchildren Natalya (Evan), Nicholas (Camille), Jaime (Jordan), Kalen (Aaron), Garret, Debbie (William), Pamela (Cornell), Colin, Alyssa, and Rianna; and great grandchildren Joseph, Robert, Daniel, Gracie, Carson, Markus, and Emma. Klaas was pre-deceased by his parents Klaas Hendrik Vanden Beld and Anneke Modderkolk, his brother Ab Vanden Beld, and his very dear grandson Robert Vanden Beld. Klaas was born and raised in Loenen (Vel. ), the Netherlands. He left Loenen at the age of 18 and spent two years in Canada, working for the Canadian National Railway and Canadian Pacific. Upon his return to the Netherlands, he enlisted in the Royal Netherlands Army and was a commando for two-and-a-half years. It was in 1958 that he would meet the love of his life, Alie. They married on January 4, 1962, and started their family that same year. Canada was always on his mind and in 1967, Klaas and Alie emigrated with their children Anke and Klaas Jr. to Canada, first settling in Leamington, Ontario, where he worked in construction as a roofer. But the West beckoned, so in May 1968 he drove across Canada with his family and settled in Fort Macleod, where Ingrid would later be born. Klaas initially found employment as a construction worker and would later go on to establish his own successful construction company, Klaas Vanden Beld Construction Ltd., in 1972. For many years, he built and renovated homes in and around Fort Macleod. In 1985, he and Alie took over another business and renamed it Wild Rose Dry Cleaners. They successfully ran it until they would both retire in 2003. Family was always a priority for Klaas and he never failed to take time to be with his children, travelling across North America in later years to visit them and their growing families. His true passion was golf, which he played as often as he could, in good weather and bad and, later, in good health and in bad. Klaas was closely involved in the Fort Macleod Golf Club, acting as its President for many years and generously donating his time for repairs and maintenance. He was awarded a lifetime golf membership in recognition of his involvement in, and contribution to, the Fort Macleod Golf Club. Klaas will be remembered by his family and friends for his optimistic outlook on life, kindness, and love of Canada, nature and golf. Donations made in Klaas’s name to the Canadian Cancer Society (200- 325 Manning Rd. N.E. Calgary, AB T2E 9Z9) will be gratefully acknowledged as expressions of sympathy. The family would like to thank the dedicated and wonderful medical and nursing staff at the Chinook Regional Hospital and the Fort Macleod Hospital emergency staff and Dr. Beekman, as well as the Community Support Beds staff and Home Care staff in Fort Macleod, for their loving care and support. They would also like to thank Ken Harris and his staff at Fort Pharmacy for their advice and excellent service.